On arrival you will be met & transferred to Hotel. Munnar is one of the highest towns in Kerala which is approx. 1800 m above sea level and witness the splendour and majestic scenery of enchanting high ranges, lakes, streams and beautiful view of the low flying clouds. Anaimudi which is the highest peak of South India looms here. The evening is free to relax and to enjoy the beauty of Munnar. On the way you will visit Wallara & Cheeyappara waterfalls. Optional: In the evening enjoy a cultural show at Munnar. Sightseeing of Munnar; Mattupetty Dam, Eravikulam National Park, Blossom Park & Tea Museum. Optional: In the evening go for an Ayurvedic massage. After the breakfast proceed to Alleppey. The afternoon is spent cruising along the backwaters, observing village life along the banks. The accommodation is simple but comfortable, with modern en suite facilities. Overnight stay in the Houseboat. Drive into Kovalam and check into hotel. 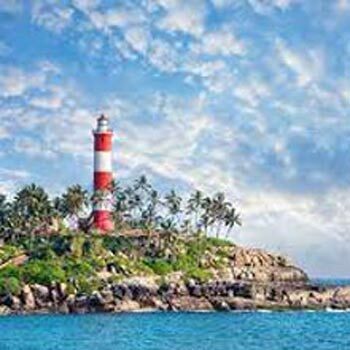 Kovalam is Kerala's famous beach resort is easily accessible from Trivandrum. It has the three precise crescents of irresistibly white beaches - Quiet, secluded, beautiful. The coastline provides protected gentle surf for swimming and the swaying coconut palms provide an eminently satisfying tropical paradise atmosphere. 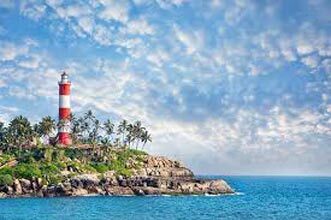 In the afternoon enjoy at Kovalam Beach & Sripadmanabhaswamy temple. Departure transfer to airport or railway station to connect flight or train for onward journey.